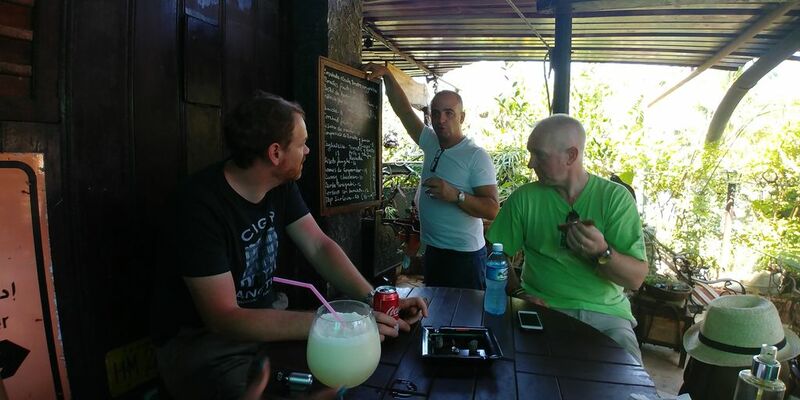 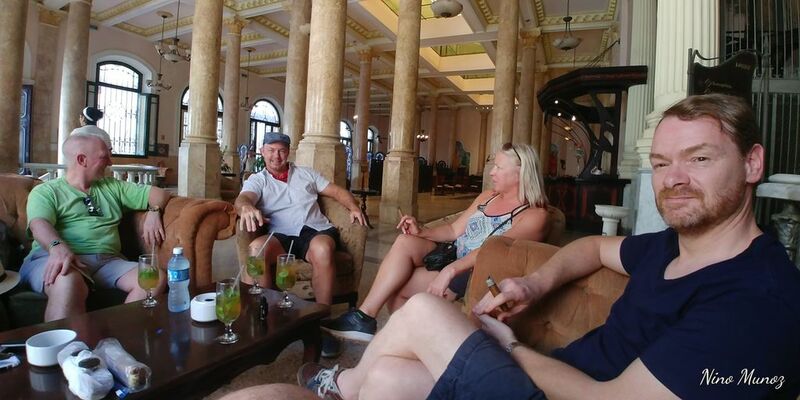 Having had 2 very busy trips to Cuba previously, this time we decided to see if it was possible to have a totally chilled, relaxing time in Havana for a change. 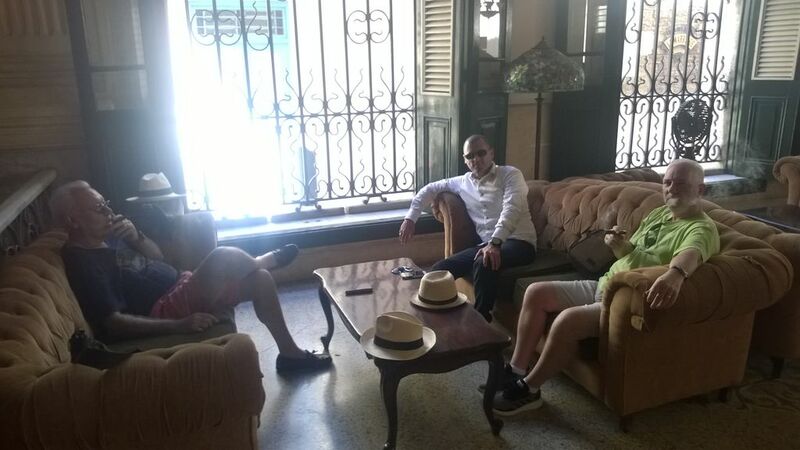 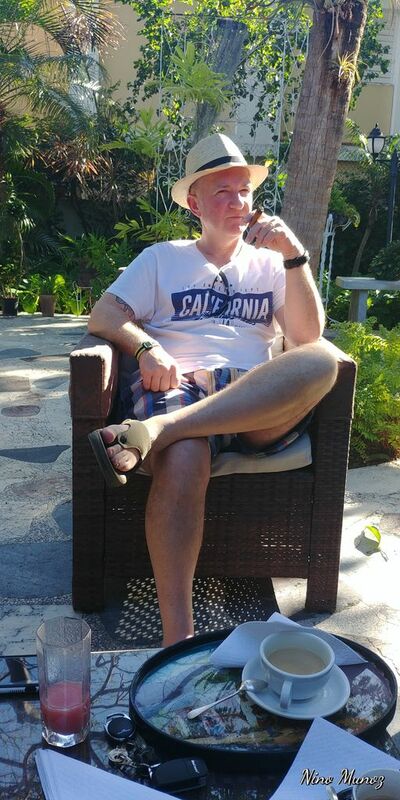 The fantastic Casa we were staying in was the perfect haven in which to put our feet up and enjoy the Cuban sunshine. 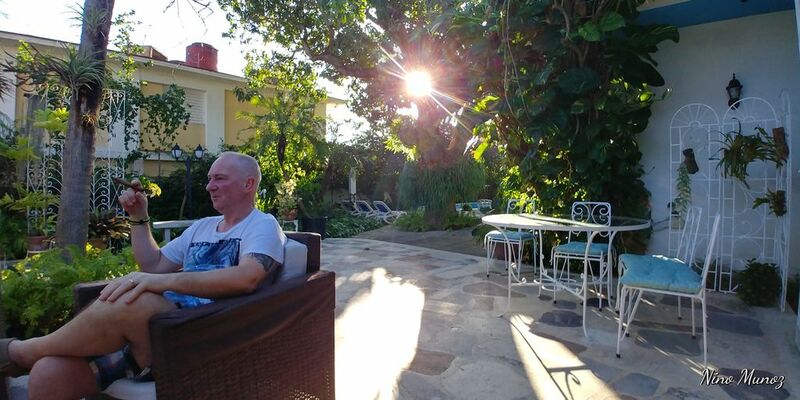 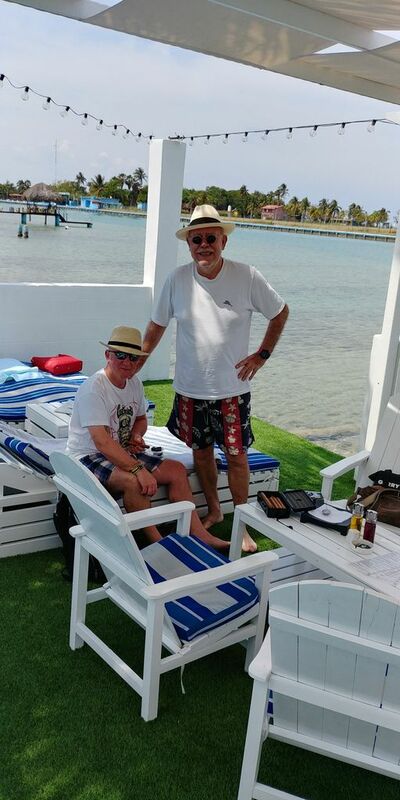 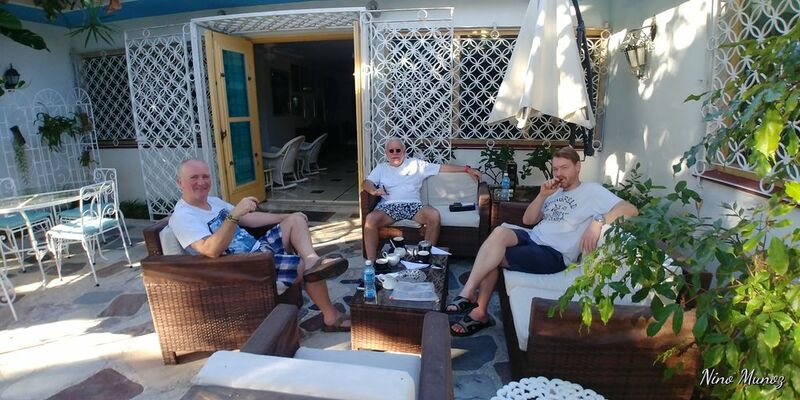 With numerous different seating areas dotted around the spacious gardens and a lovely pool with sun beds, wonderful staff catering to our every need, there was no real need to venture too far. 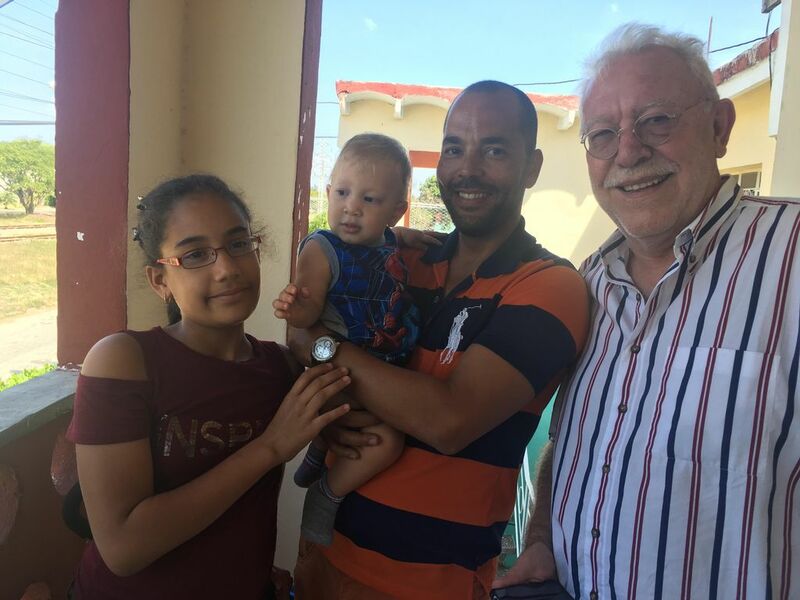 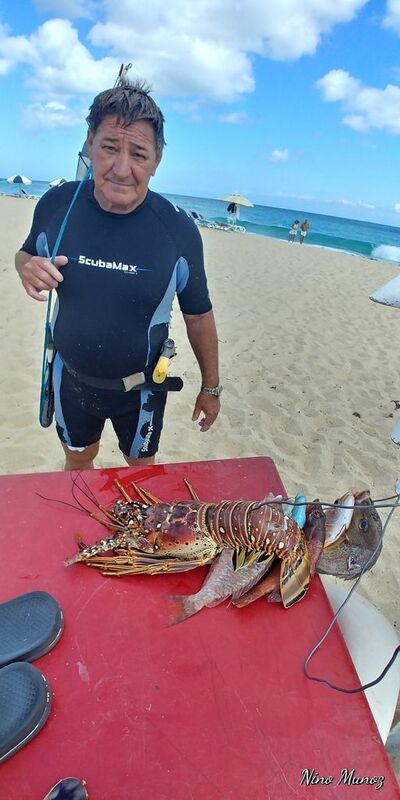 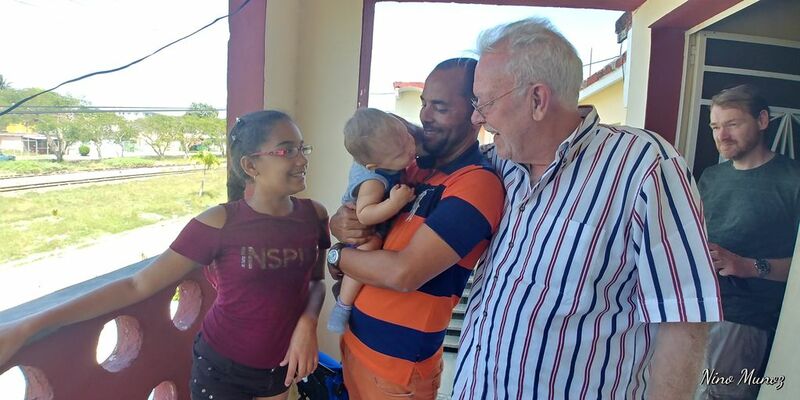 Between visits to Alex, Reynaldo and Juanita, we learned of the passing of Simon Chase. 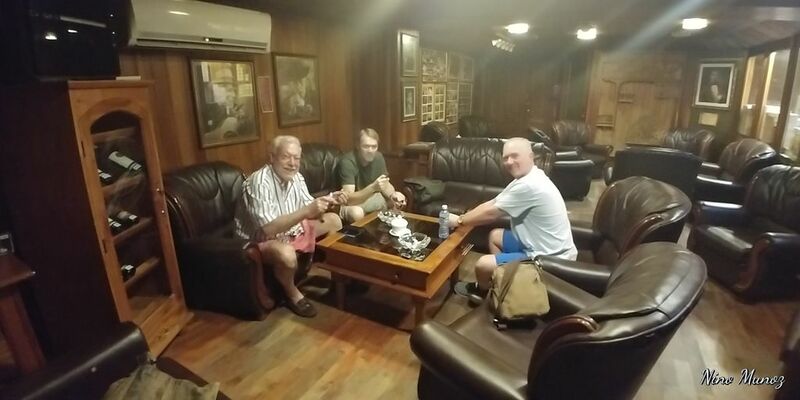 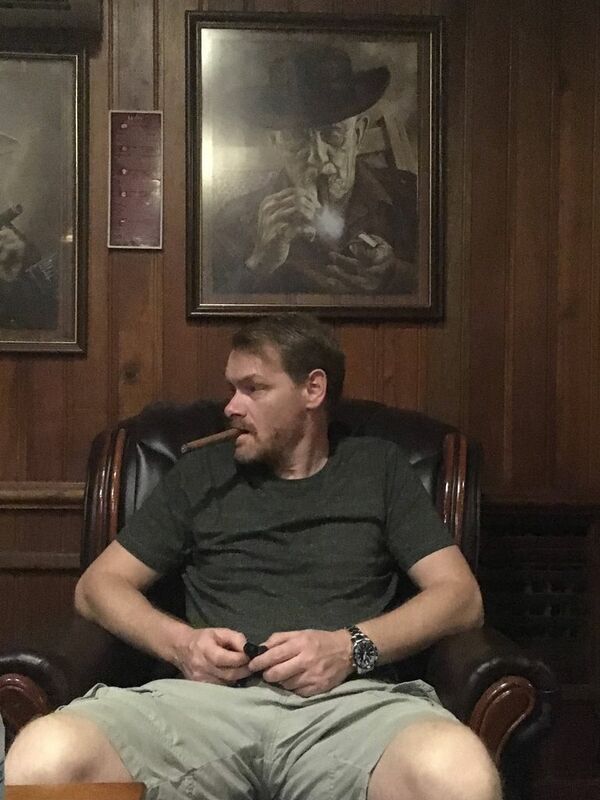 Very sad news and a special cigar was smoked in his honour that night. 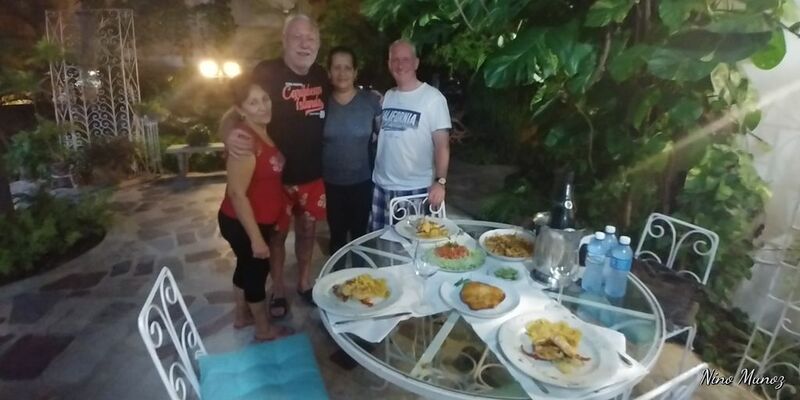 Thanks to a good friend we enjoyed a superb lobster and champagne dinner at the Casa, prepared and served perfectly by Yunia and Juanita. 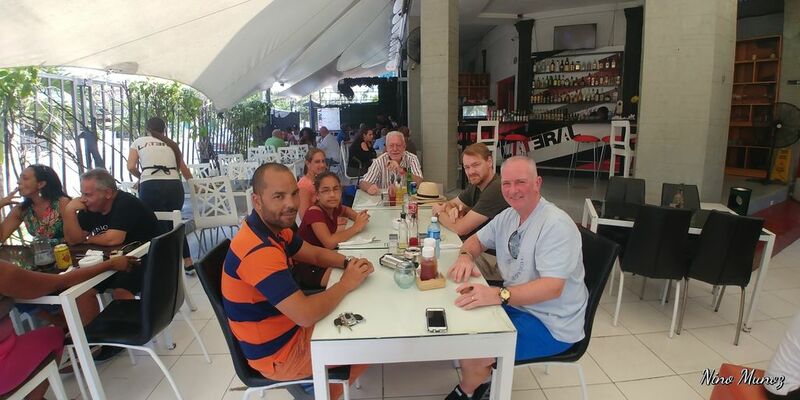 After 3 days of doing very little we had a day at the beach with two new friends Brian and Debbie, a lovely American couple whom we met at Conde Villanueva. 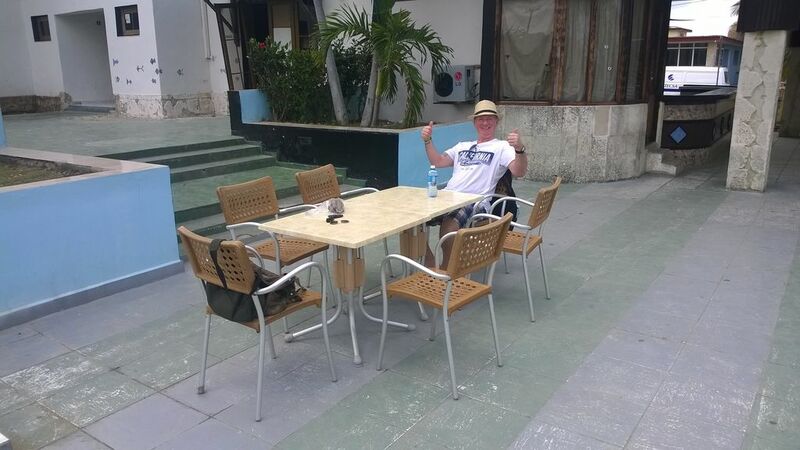 Nights spent at the excellent Espacios garden bar, a home from home for us, were preceded on a few nights by trips out. 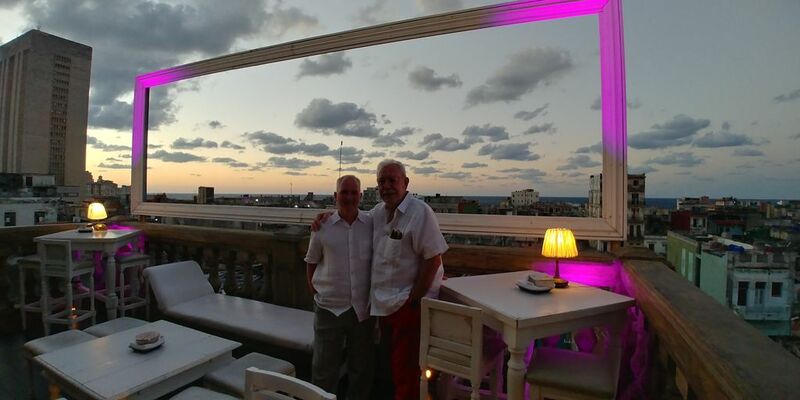 One of such was an evening at La Guarida, still the top spot in Havana. 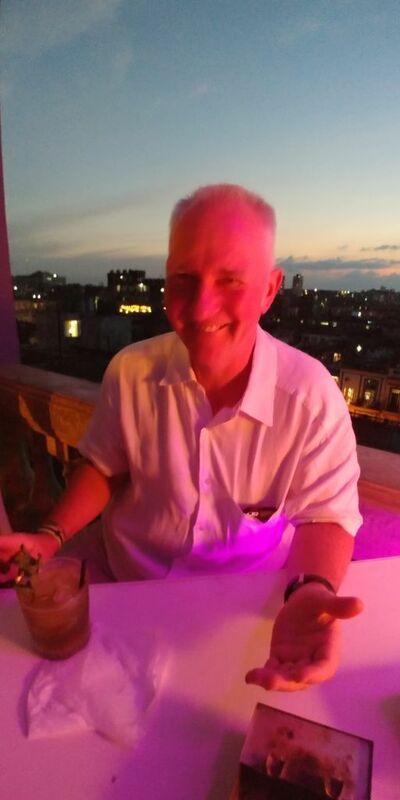 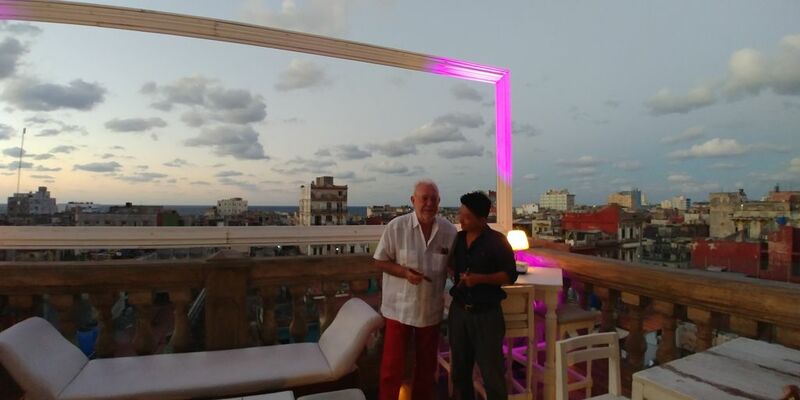 The rooftop bar offers a fantastic Mojata, courtesy of Rafael, wonderful food and a view, that to me encapsulates the conundrum that is Cuba. 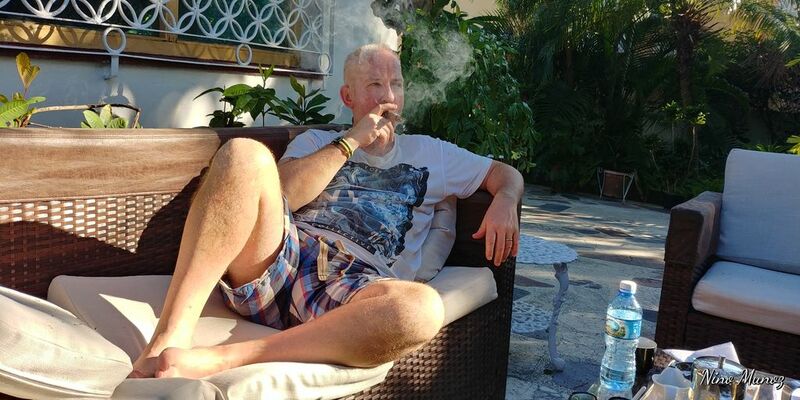 Surrounded by such opulence but overlooking such deprivation is a very strange experience. 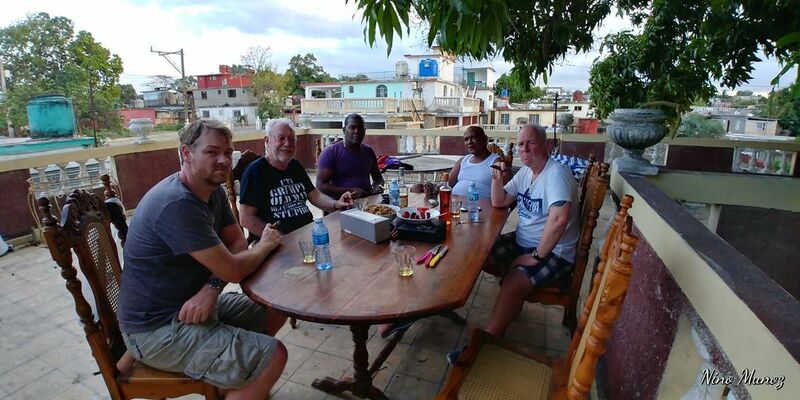 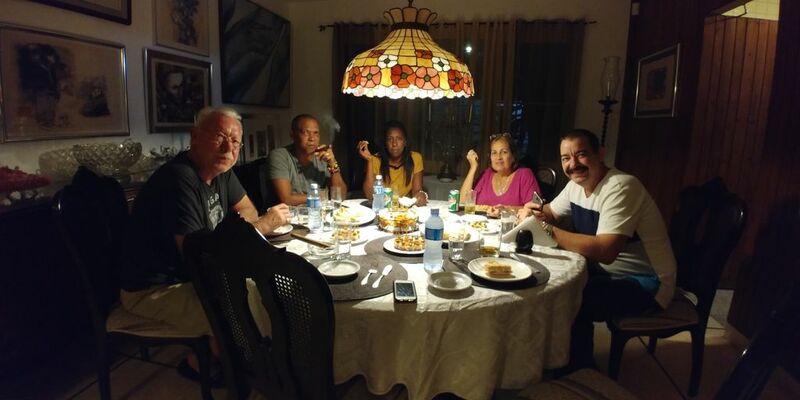 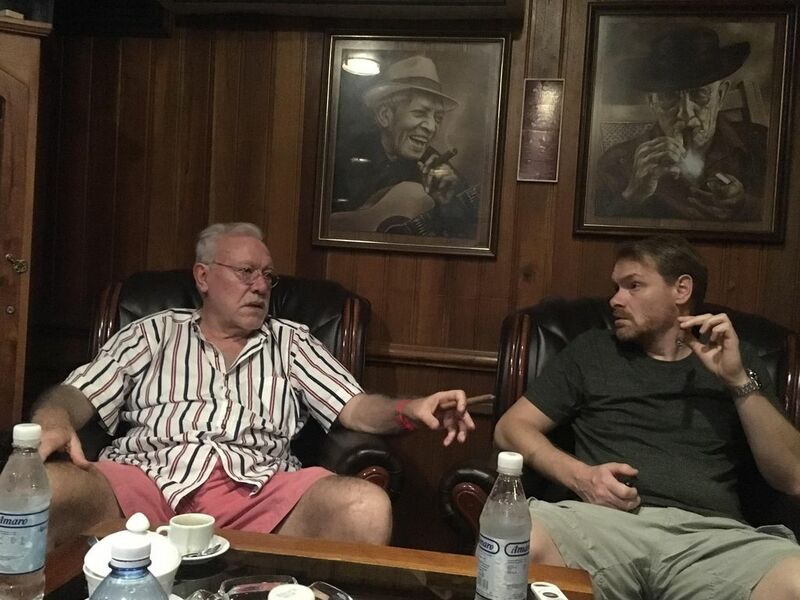 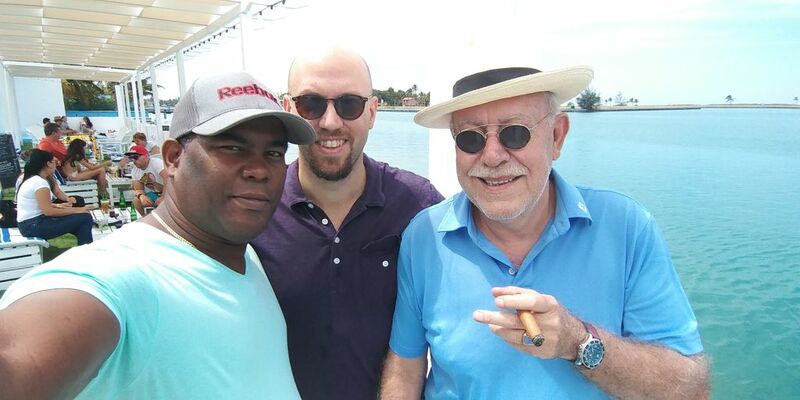 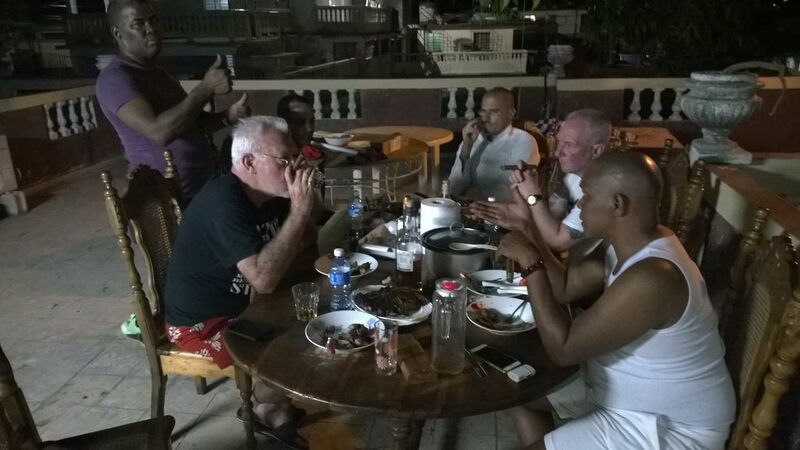 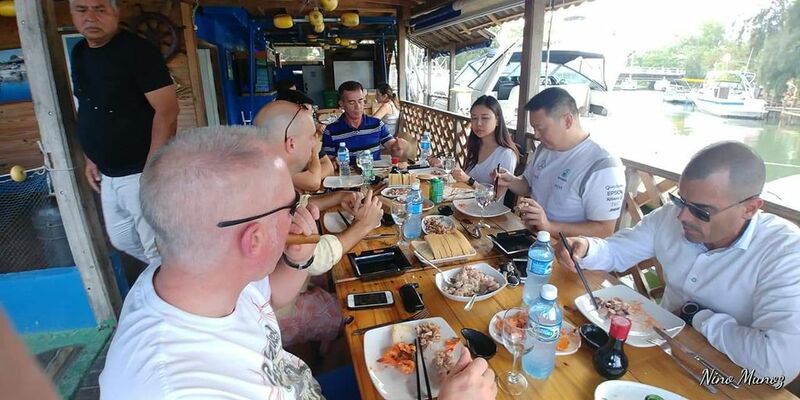 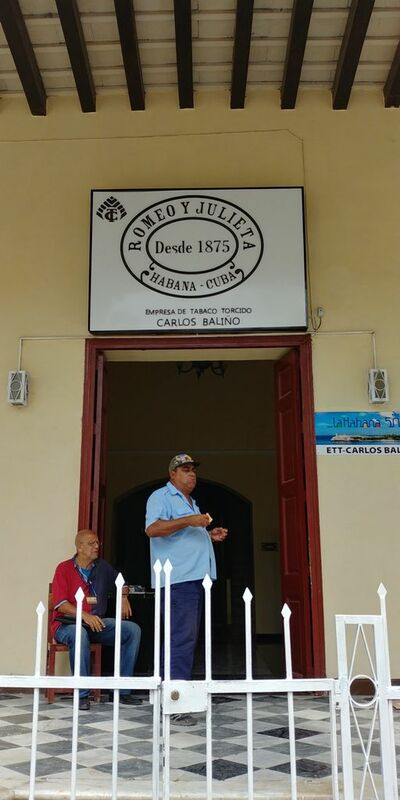 Once again the highlights of the trip were the invitations to the homes of our friends, to share typical Cuban fare, great cigars, rum and conversation. 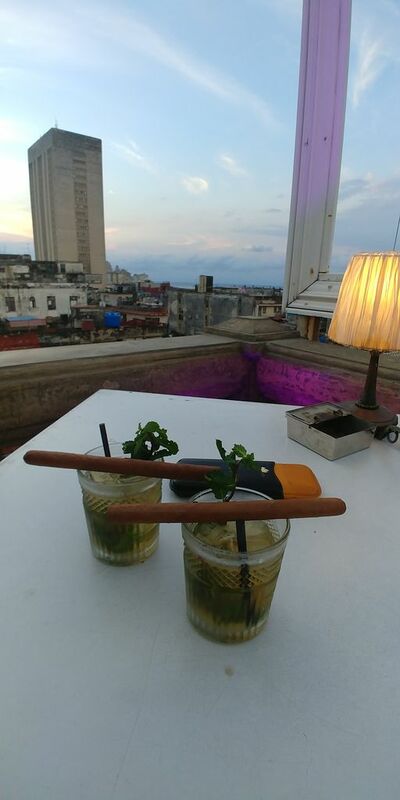 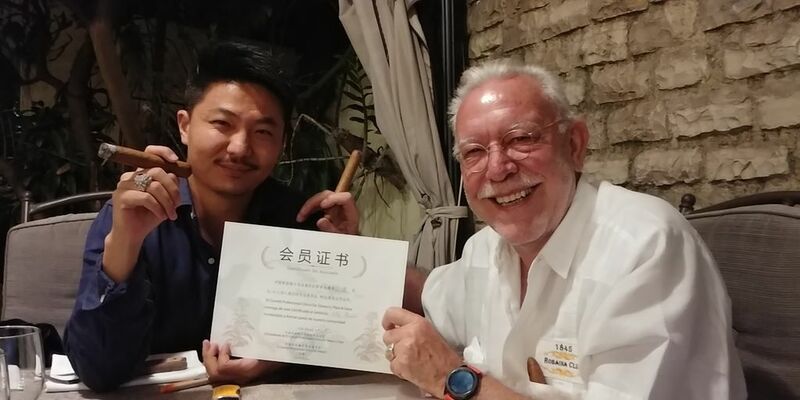 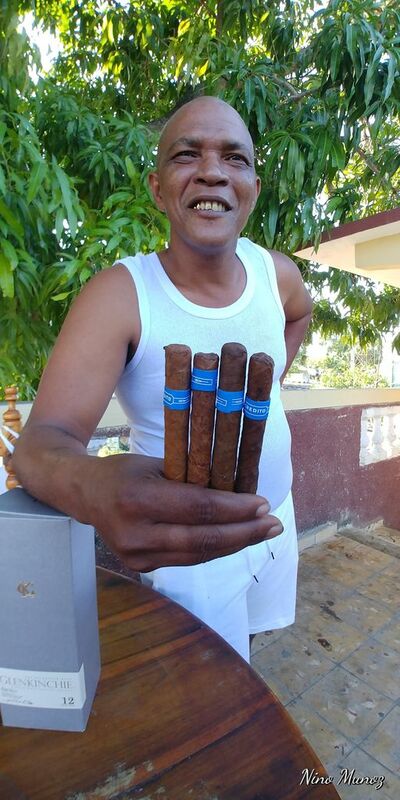 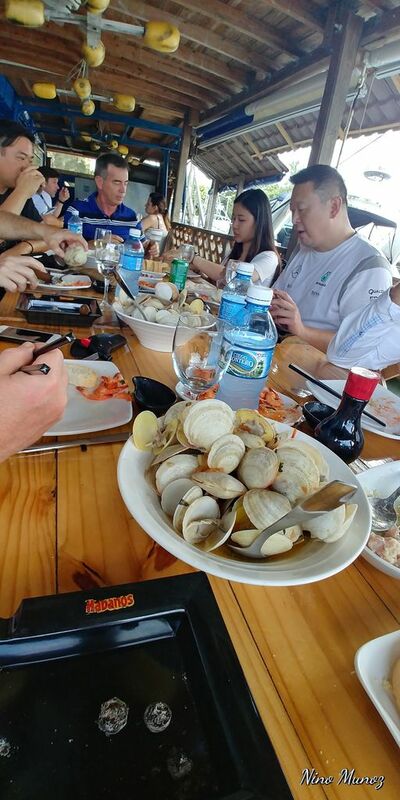 Sitting on a rooftop terrace, under the shade of a huge Mango tree, with the aroma of the grill and fine Cuban tobacco filling the air is an experience difficult to match. 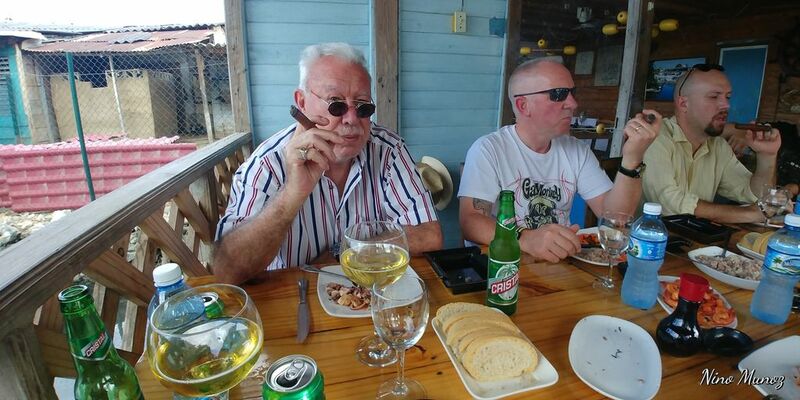 Wonderful occasions, never to be forgotten. 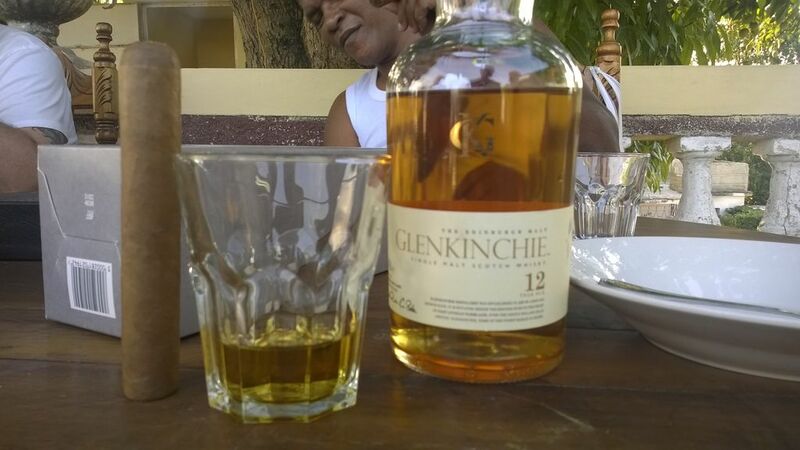 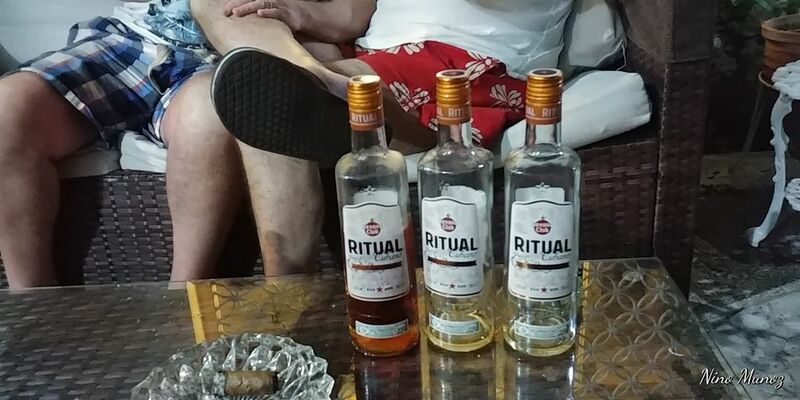 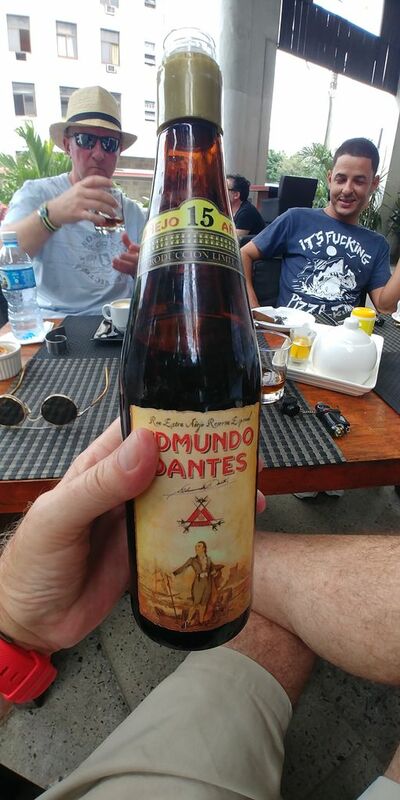 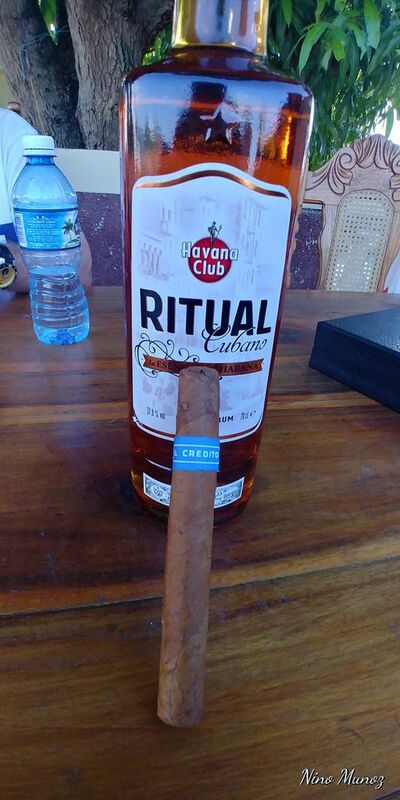 One memory which will stay with me, was when we asked a Cuban friend what his favourite Rum was. 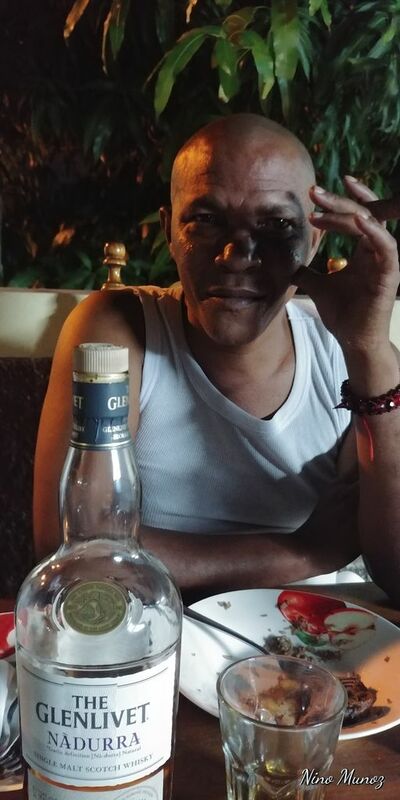 He said he only drank white Rum. 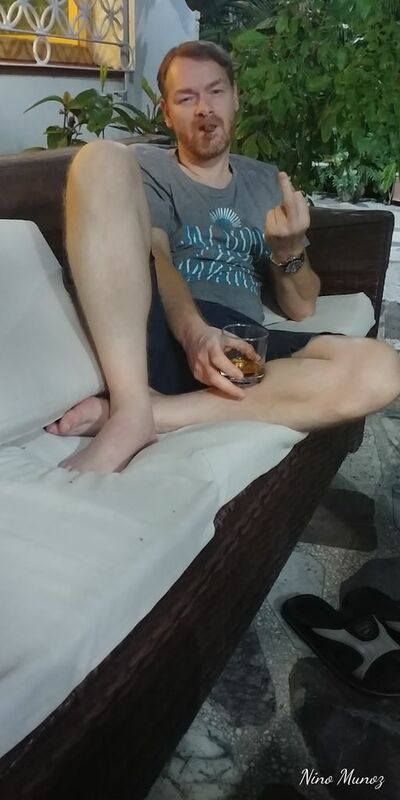 We then asked what brand of white Rum he preferred. 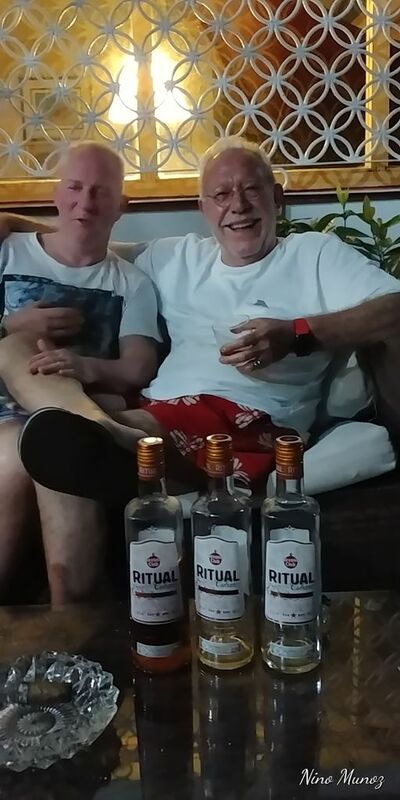 When he replied “Vodka” we fell about laughing. 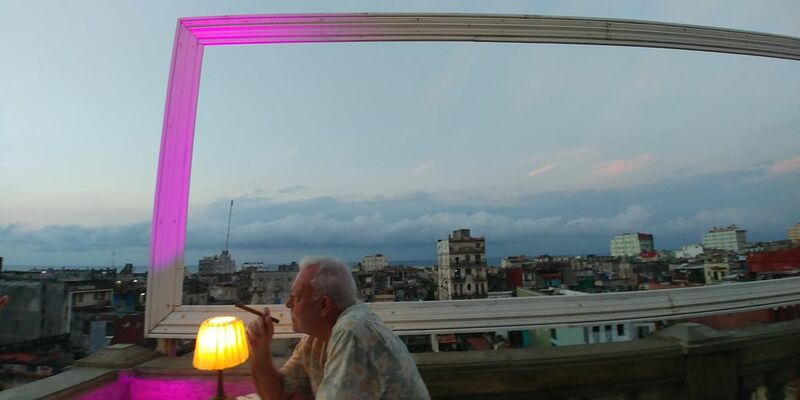 It seems however, Cuba has a thriving Vodka business. 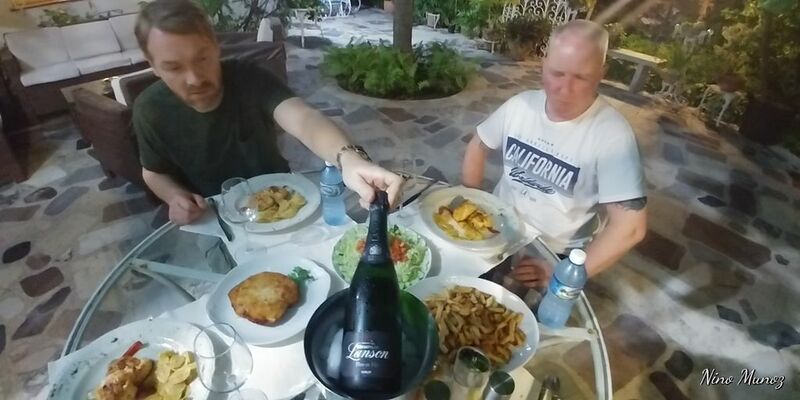 Strange for a country where potatoes are almost worth their weight in gold !! 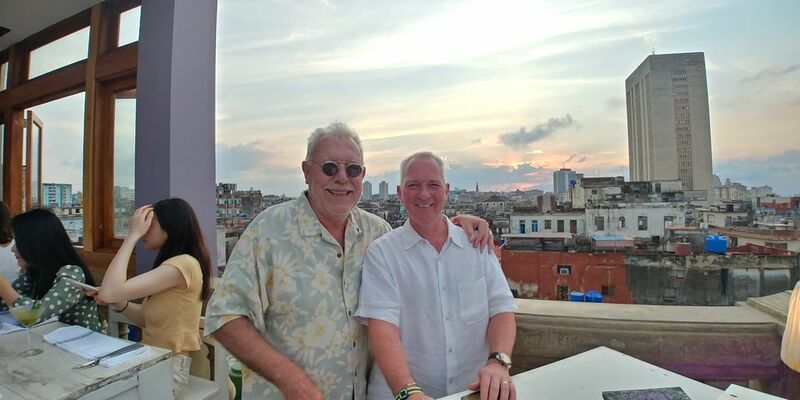 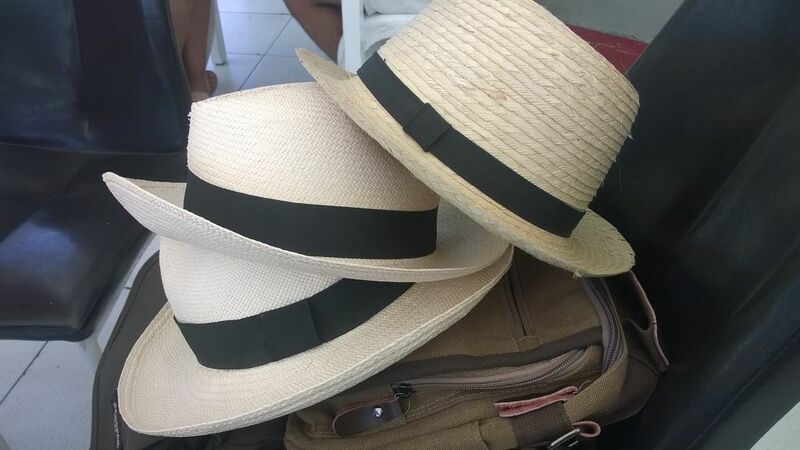 So, did we succeed in our quest to have a “holiday” in Havana ? 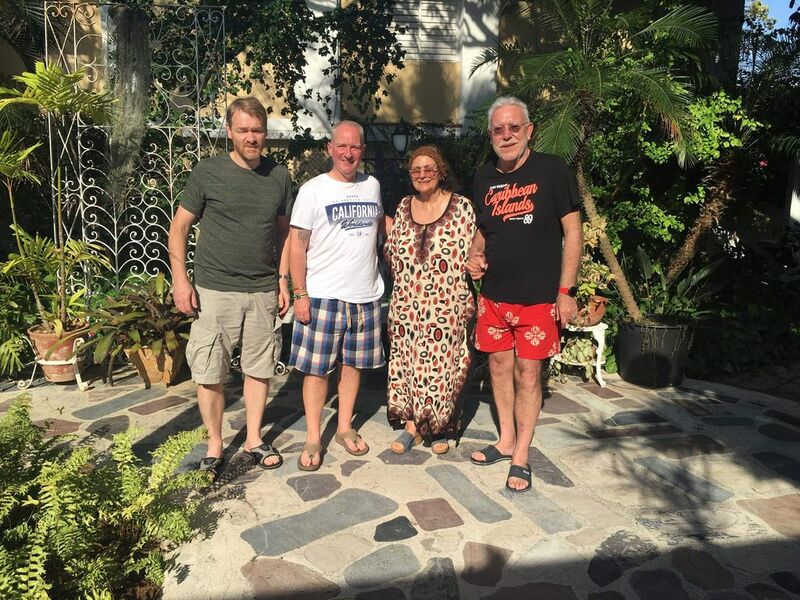 Absolutely, a wonderful relaxing time was had by all and I want to thank the staff at our Casa, Julio and Jose our drivers, the “Cuban Family” and most of all Nino and Frank for both, making it so and sharing it with me. 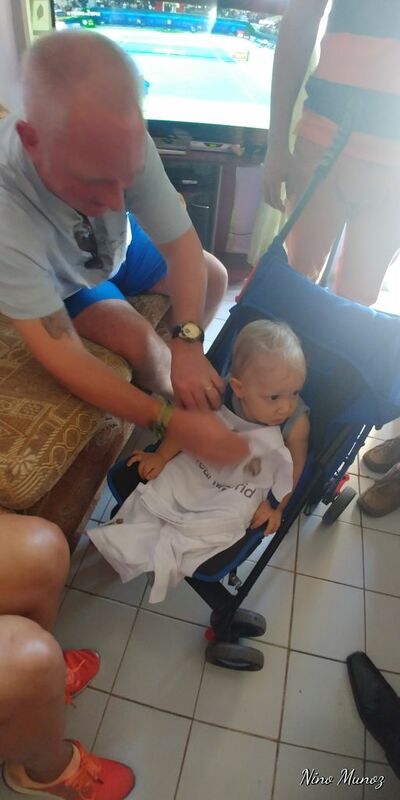 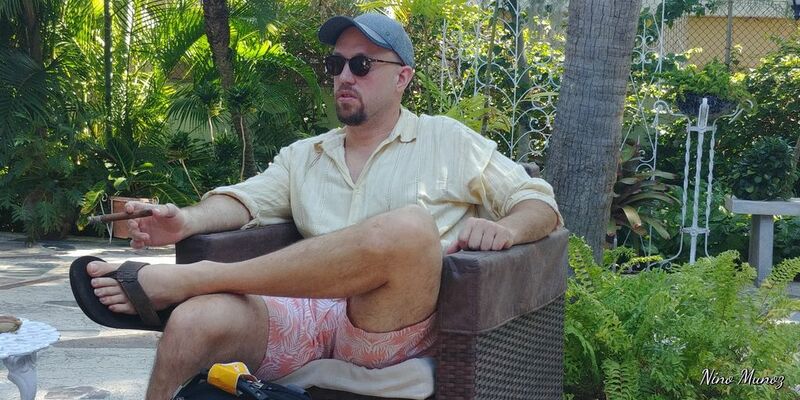 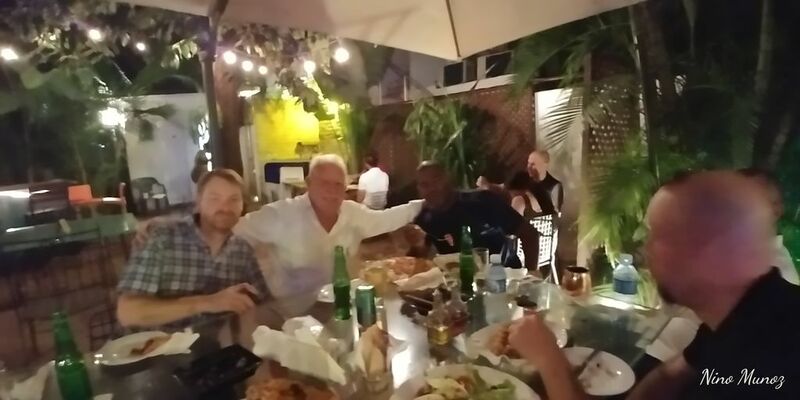 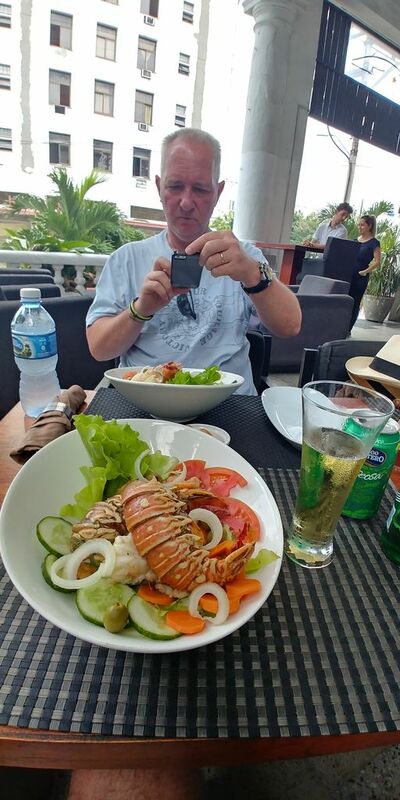 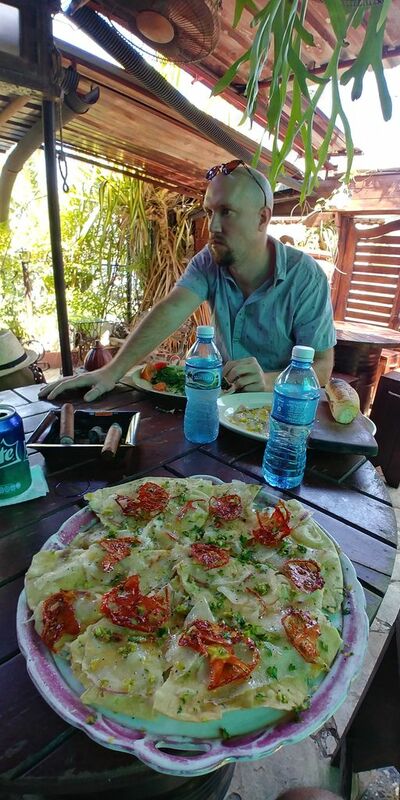 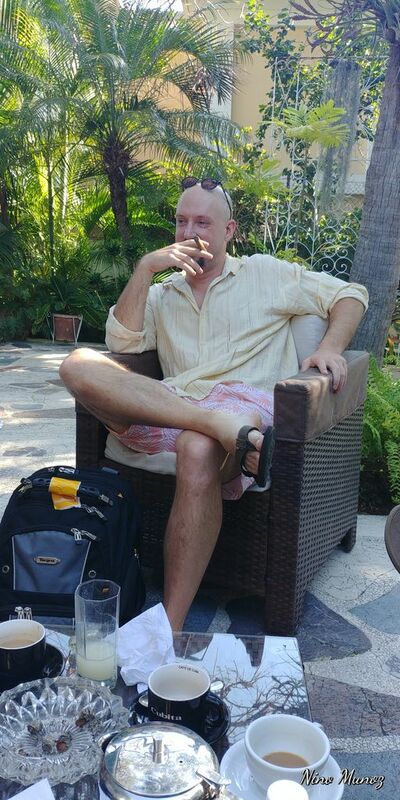 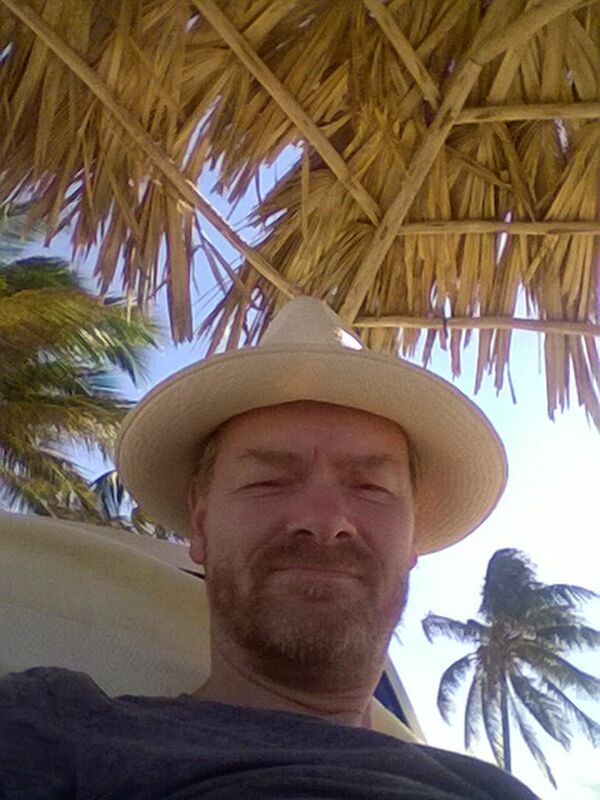 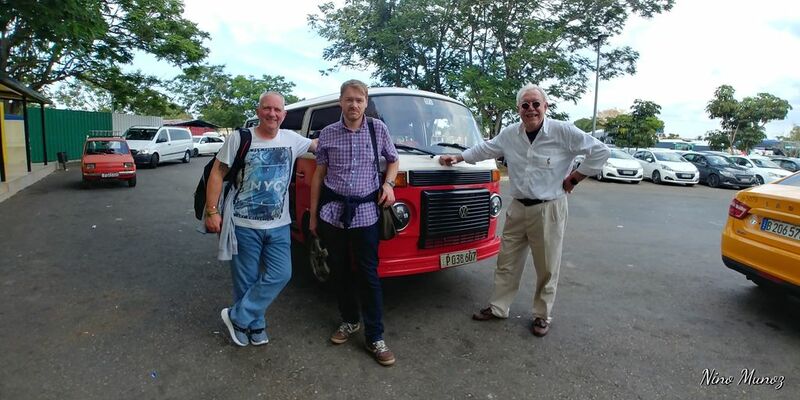 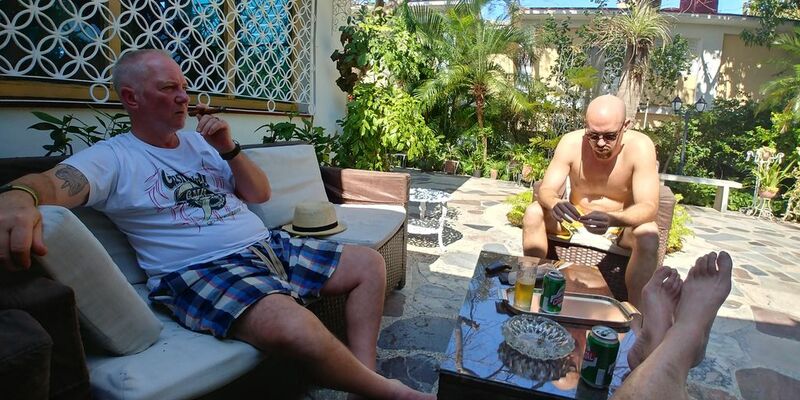 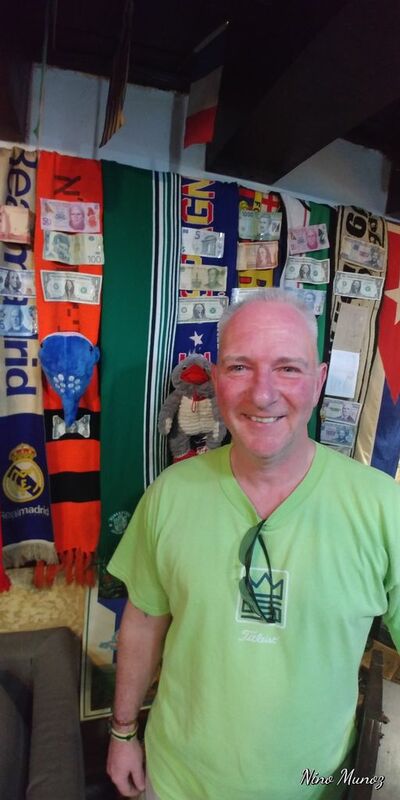 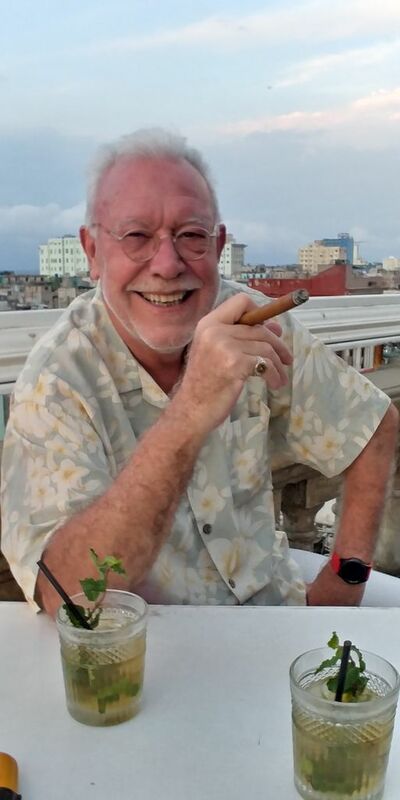 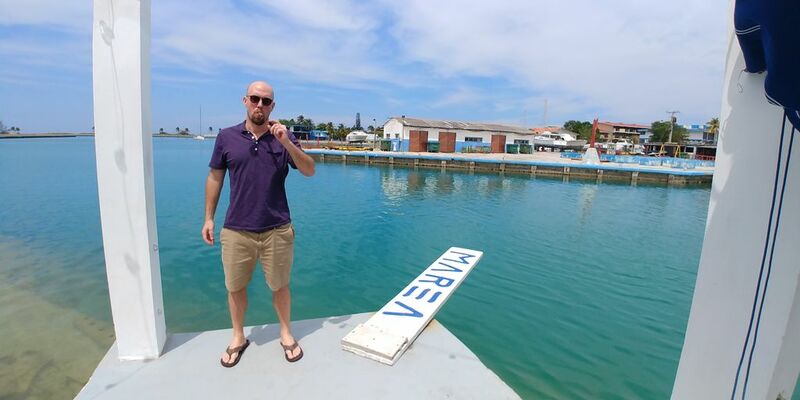 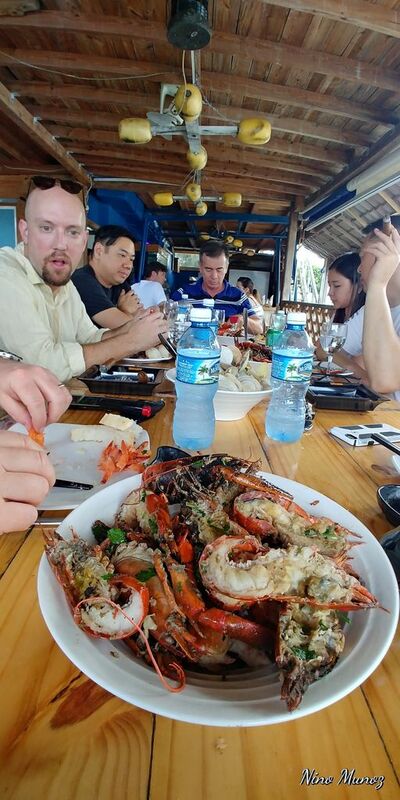 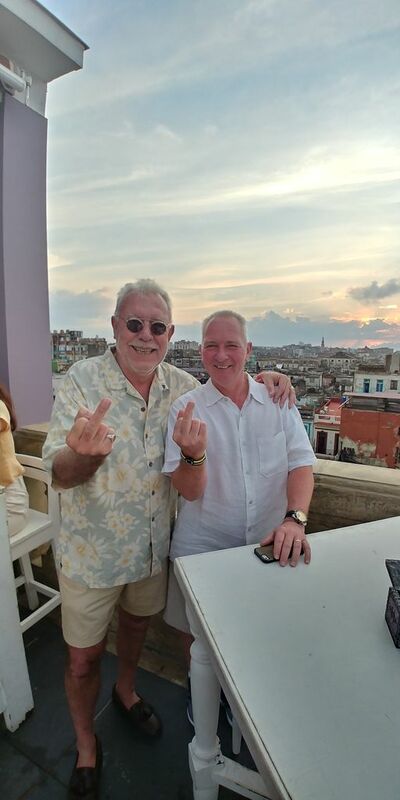 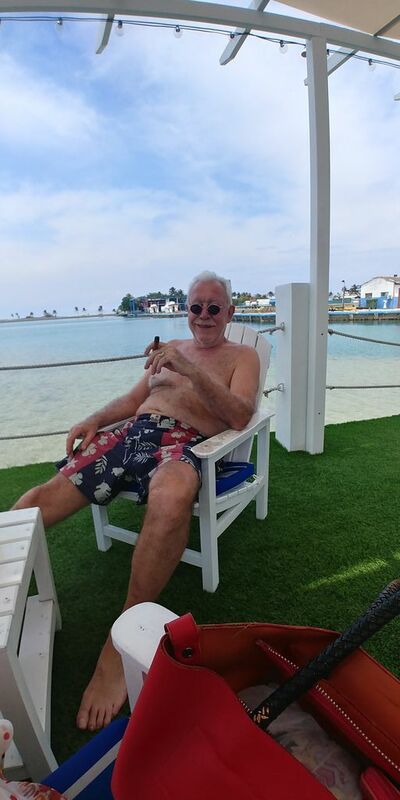 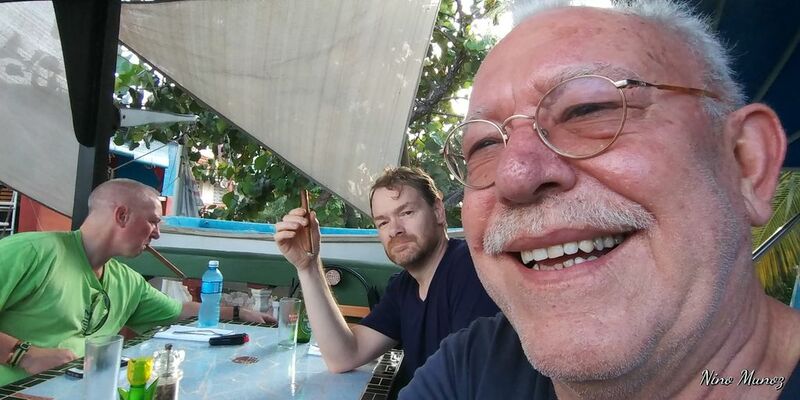 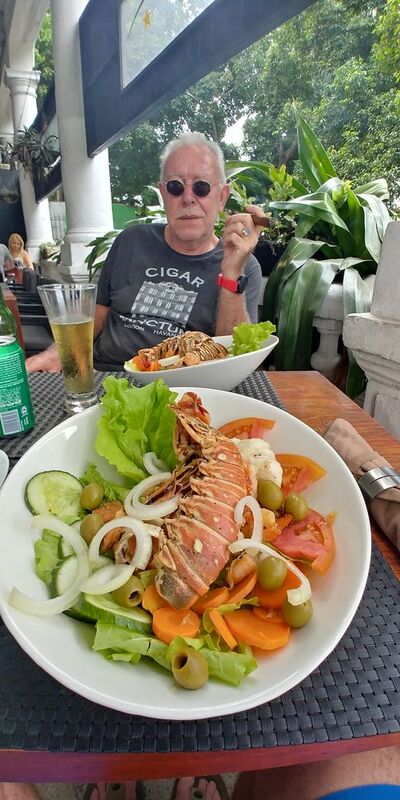 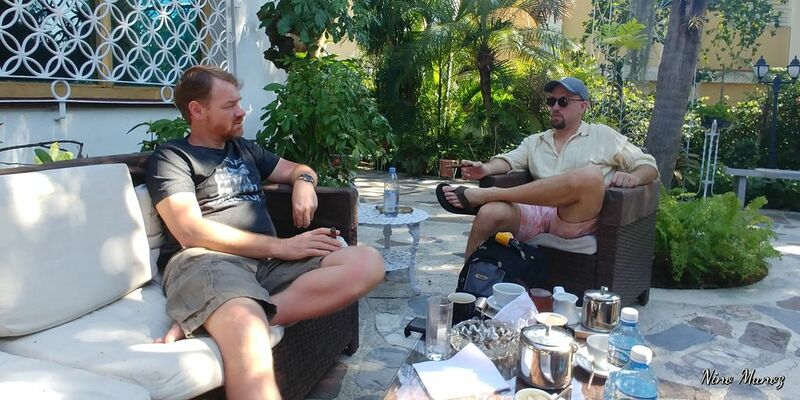 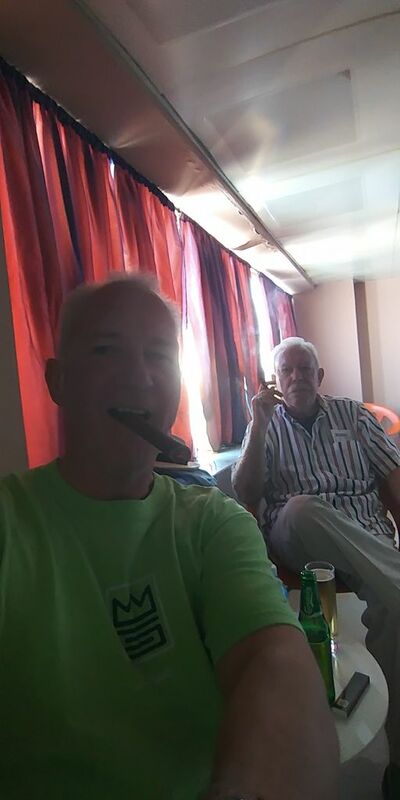 I can only agree with John’s KISS text and thank both him and Frank as well as Charlie “Ojos Locos” for making sure this was my first vacation in Cuba after all these years. 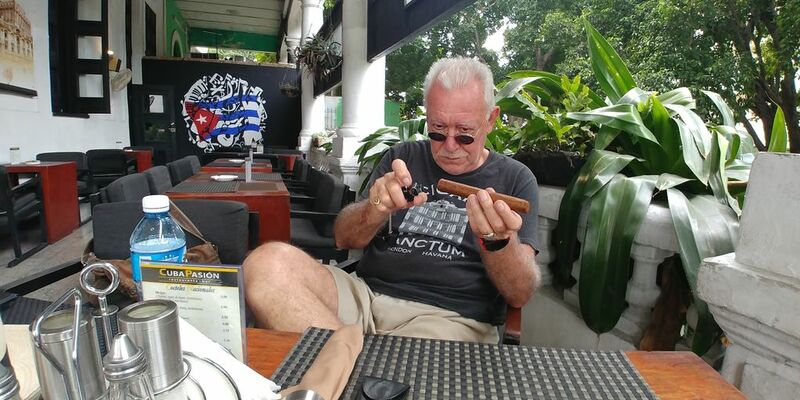 No plans, no schedules, no factories, no farms, no events – no nutthing ! 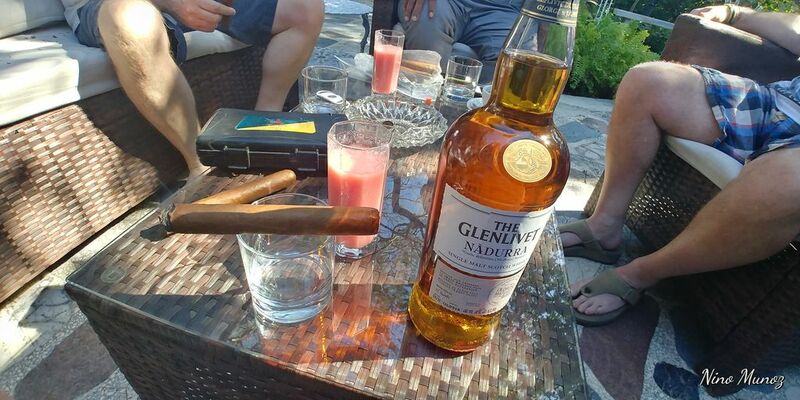 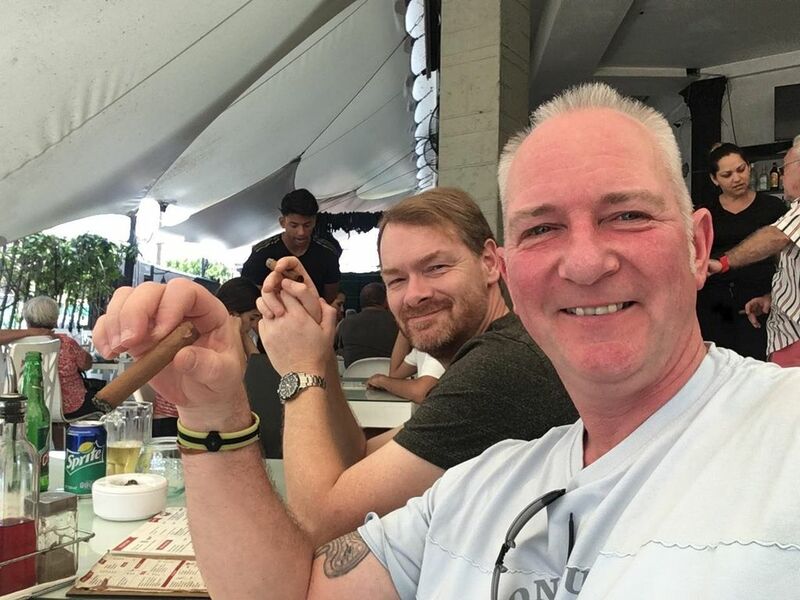 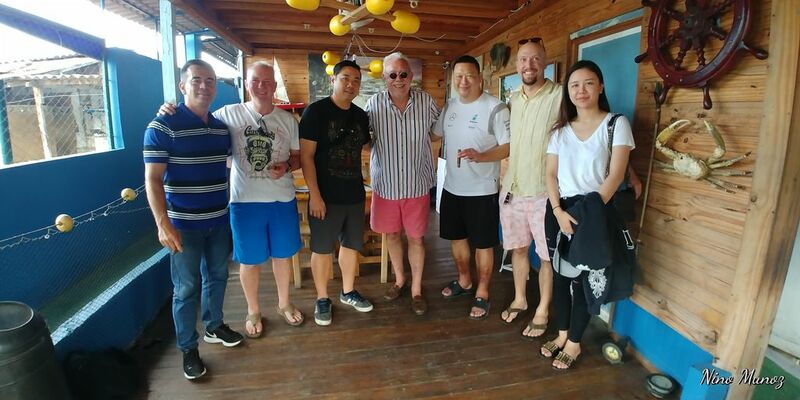 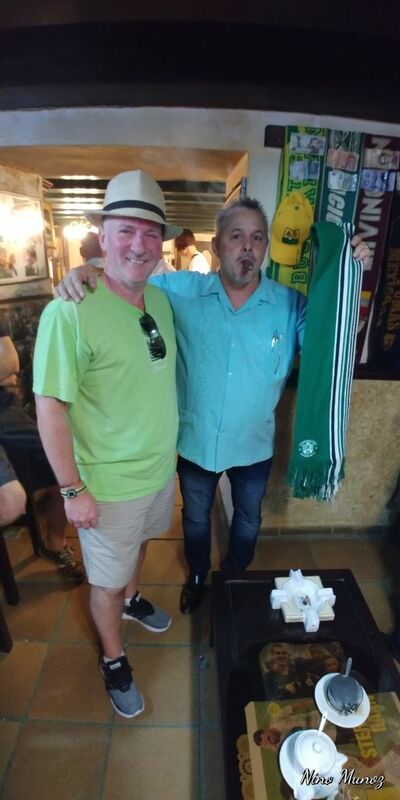 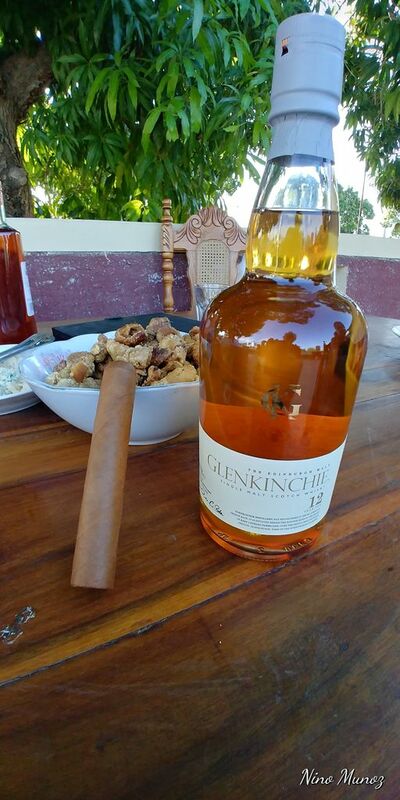 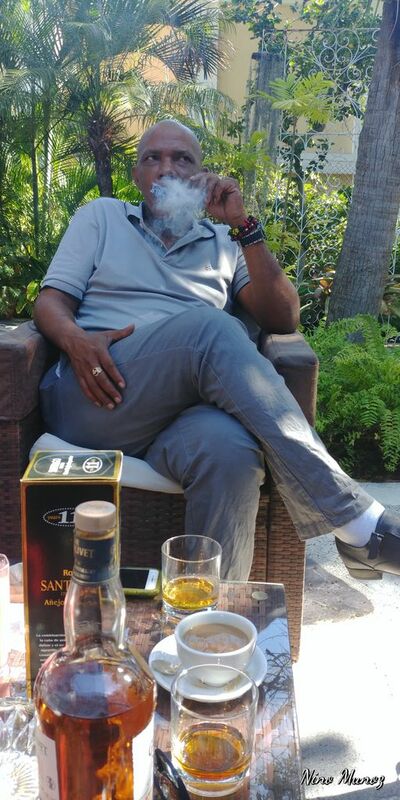 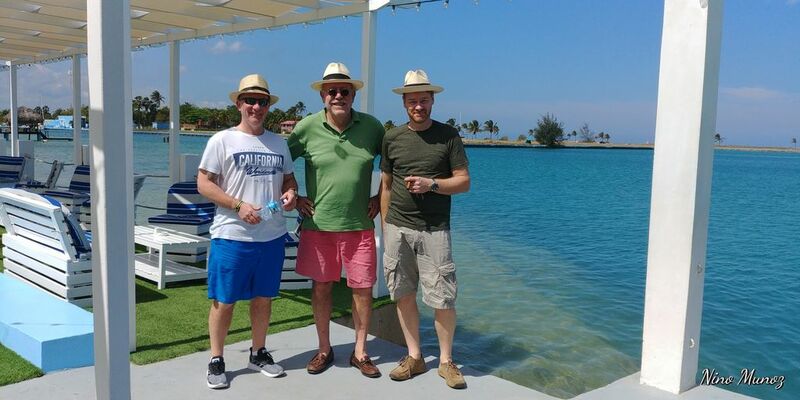 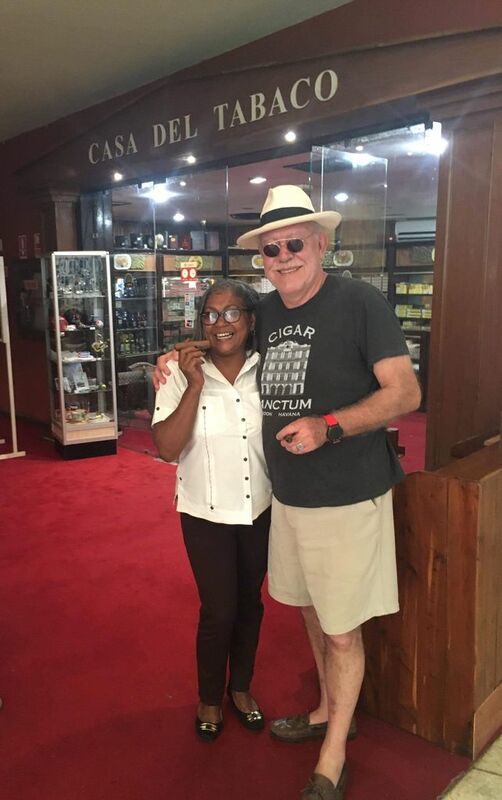 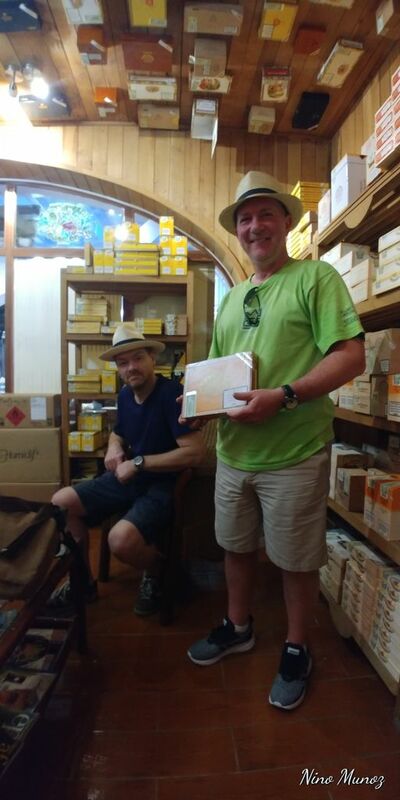 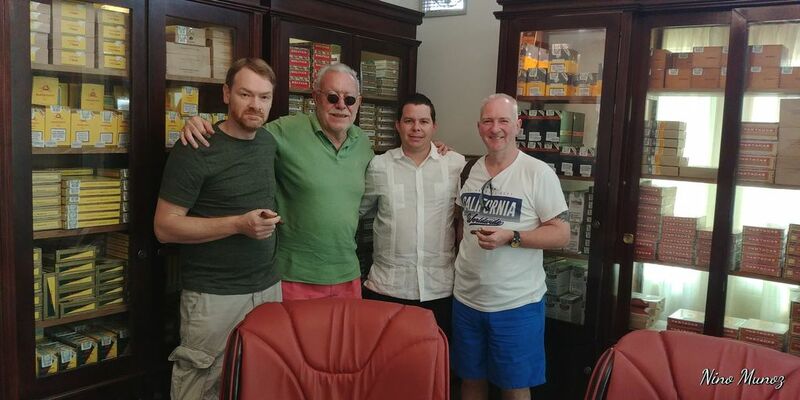 We had the utmost fun, smoked the best cigars, supported both the Scottish as well as the Cuban liquor industry, laughed ourselves silly and had a great time.